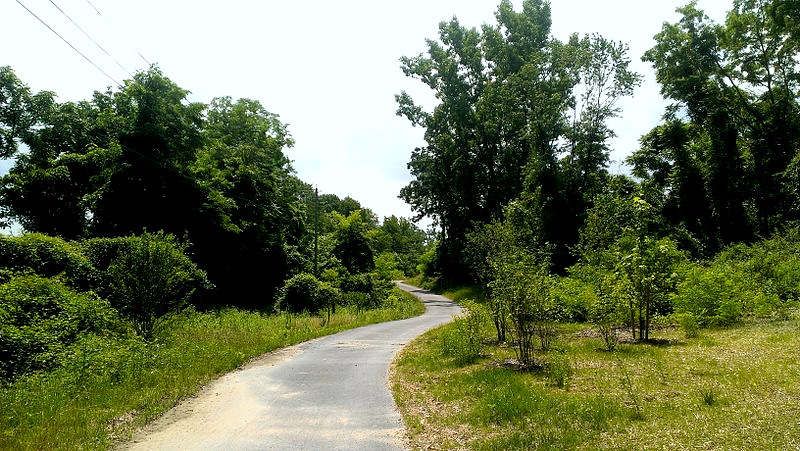 Above: A portion of the Jones Falls Trail between Woodberry and Cylburn opened last year. The Jones Falls Trail, more than a decade in the making, is set to reach its northern terminus, the Mount Washington Light Rail station, in 2016. The Board of Estimates yesterday approved a $2.05 million federal grant to underwrite Phase V of the 10-mile cycling and walking trail, designed to follow the Jones Falls from the Inner Harbor to the city’s northern boundary. Currently ending at the entrance of Cylburn Arboretum, the trail is set to cross Northern Parkway on a wooden bridge near the Jones Falls Expressway and enter Mount Washington via Newbury Street. Although funded by the remarkably long-winded SAFETEA-LU Act (Safe, Accountable, Flexible, Efficient Transportation Equity Act: A Legacy for Users), actual construction of the segment will be managed by the city’s Recreation and Parks Department. Department spokesman Gwendolyn Chambers told The Brew that the agency hopes to advertise the project in April, with construction beginning in September. It will take an estimated 18 months to complete the trail, she said. Starting at Light and Lee streets, where it meets the Gwynns Falls Trail, the bike path winds through downtown’s east side to reach the Fallsway, then proceeds up Guilford and Mt. Royal Avenue to St. Paul Street. Using a dedicated lane on St. Paul and Lanvale Street, the trail swings into the Jones Falls Valley and follows Falls Road to the Wyman Park Drive Bridge crossing the JFX. For the next three miles the trail circles around Druid Hill Park, descends into Woodberry and proceeds to Cylburn via Coldspring New Town. The trail is just a sliver of the East Coast Greenway projected to connect Calais, Maine, with Key West, Fla., with 3,000 miles of scenic paths and shared-use roads. Eventually, if funding permits, the Jones Falls Trail will extend from Mount Washington to Robert E. Lee Park in Baltimore County.